We use water daily to water plants, stay alive, wash clothes, provide power, control fire and for many other things. Water is available in plenty on the earth then why we need to conserve water? The reason behind it is that the people on the earth use fresh water faster then it can be naturally replenished. To provide fresh and clean water to people, it is cleaned at water treatment plants and from there it is supplied to residential households for there daily needs. So, we need to conserve water to minimize its wastage. When we save water we are also saving energy because the less water we use, the less energy will be used for pumping and treating water. On the other hand if you less hot water, it will save you on water heating. Apart from using less water for your daily needs, there are other plenty of ways to conserve water. Just look at the list below as how you can save water by adopting these techniques. Don’t let the faucet run while you clean vegetables. In-fact, clean them in the pan of clean water. Always have the bottle of clean water in the refrigerator, This will help in reducing the running tap water. 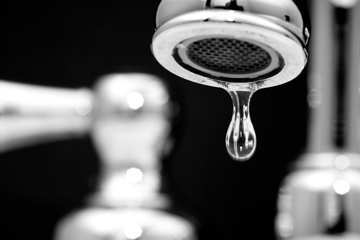 Turn off water faucets tightly so they don’t drip. When you wash dishes by hand don’t left the water running for rinsing. Don’t take lengthy showers. Though it may be comforting but it may lead to wastage of water. Don’t let water run while shaving or washing your face. Brush your teeth first while waiting `for water to get hot, then wash or shave after filling the basin. If you’re taking a shower, don’t waste cold water while waiting for hot water to reach the shower head. Catch that water in a container to use on your outside plants or to flush your toilet. Install a low water consumption toilet like the Toto cst744s drake toilet. Low water toilets can drastically help reduce water waste. Water your lawn and garden in the morning or evening when temperatures are cooler to minimize evaporation. You can even use a hose water timer to make sure you aren’t using too much water. Collect water from your roof using a rainwater tank to water your garden. Ask your plumber if he could re-route your gray water to trees and gardens rather than letting it run into the sewer line. Check with your city codes, and if it isn’t allowed in your area, start a movement to get that changed.